Increasing awareness of the potential risks of ionizing radiation in imaging has led oncologists and radiologists to review many aspects of how and when pediatric oncology patients are imaged, with a greater emphasis on study justification and dose optimization. 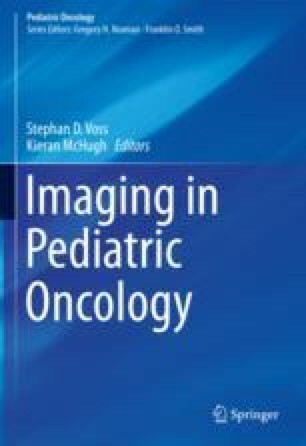 In this chapter we will review the background to current concerns regarding potential future increased malignancy risk, discuss dose estimation, provide an overview of dose optimization strategies and typical radiation doses for commonly performed studies, and, finally, discuss some of the issues and challenges around communication with patients and their families. SNMMI position statement on dose optimization for nuclear medicine and molecular imaging procedures. 2012. Accessed 22 Dec 2017. http://snmmi.files.cms-plus.com/docs/SNM_Position_Statement_on_Dose_Optimization_FINAL_June_2012.pdf.